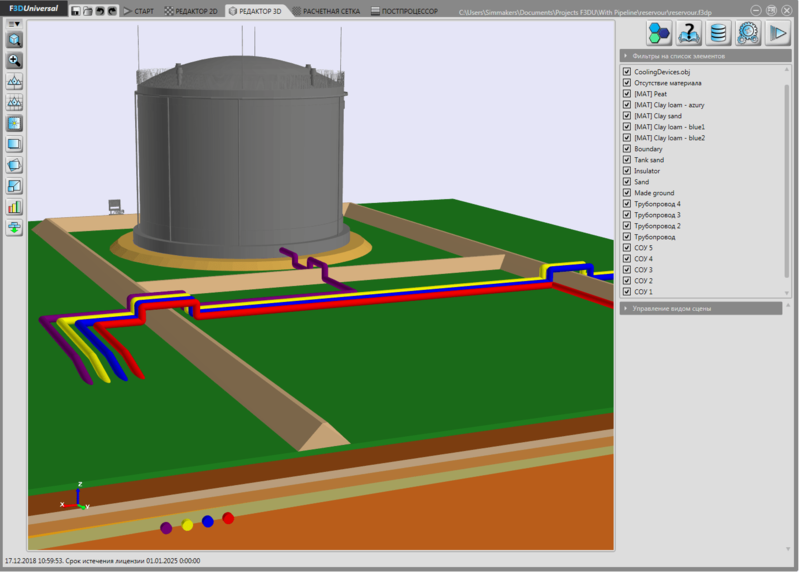 The new version of «Frost 3D» has a set of tools for pipeline creation. With its help it is possible to draw via a mouse click or to import the line of the pipeline from the file in the Editor 2D, and then to set height (Z-coordinate) for each point of this line. The opportunity to set pipeline radius in the field of properties is given for this line. On the basis of these data the pipeline of the specified form and size is automatically created at construction of 3D-scene of the project. The pipeline created this way is a construction object for which it is possible to set material and boundary conditions. Time of release of the new version of «Frost 3D» which includes these tools is the first quarter of 2019.